By providing a safe shelter, health care, education and loving care in a family environment, we hope to show each child that they are loved and valued by us and by God. We facilitate healing from the trauma they have endured hope to prepare them to become leaders in their own communities by supporting them in developing their unique skills and abilities. Additionally, we seek to teach them the importance of forgiveness for those who have hurt them and the true value of love through the example of Jesus Christ. The children living at New Hope come from a variety of backgrounds, and many have family members (parents or extended family members) who are still part of their lives. Situations involving alcohol and drug abuse, domestic abuse and other relationship problems, imprisonment, health crisis, and extreme poverty often lead to children being removed from their home setting and placed in a children’s home like ours. In these cases, one of our primary focuses is in working with the family members to assess whether there are interventions that could be made to allow the children to return home eventually. This is a priority for the Peruvian government and we work closely with them to assess the safety of the children and advocate for their best interests in relation to their families of origin. New Hope Children’s Home was founded in 1995 in response to the number of orphaned and abandoned children that were living on the streets at that time. 1993: David and Debbie Bolos moved with their children to Arequipa, Peru as Baptist missionaries. They were planning to learn Spanish in Arequipa and then begin church planting work in other regions of Peru. During their time in Arequipa, they were struck by the number of orphaned and abandoned children living on the streets. At that time, there were very limited resources available for these children and their futures were bleak at best. 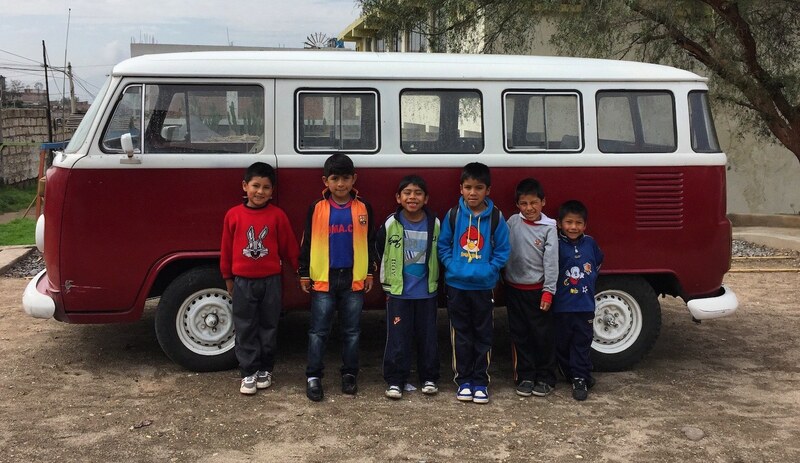 The Bolos family felt a new call to care for orphaned and abandoned children and started working on opening the first privately run children’s home in Arequipa. 1995: New Hope Children’s Home opened in Hunter, a small village in the rural outskirts of Arequipa. A small, two story house had been rented and adapted to accommodate as many children as possible. As the first privately run, Christian children’s home in Arequipa, the judges overseeing the cases of street children were initially reluctant to place children in this new home. For over two months, they wouldn’t place any children at New Hope and the home sat empty. Finally, the judges sent an 11-year-old girl, Fanny, to New Hope and from there, the numbers began to multiply. Soon there were 25 children at the home and there was no way to create more space to take more children in. Through God’s gracious provision, funds were raised and land was purchased to build a new home in the village of Pachacutec. The home was designed and constructed, customized to the needs of the growing numbers of children at New Hope. 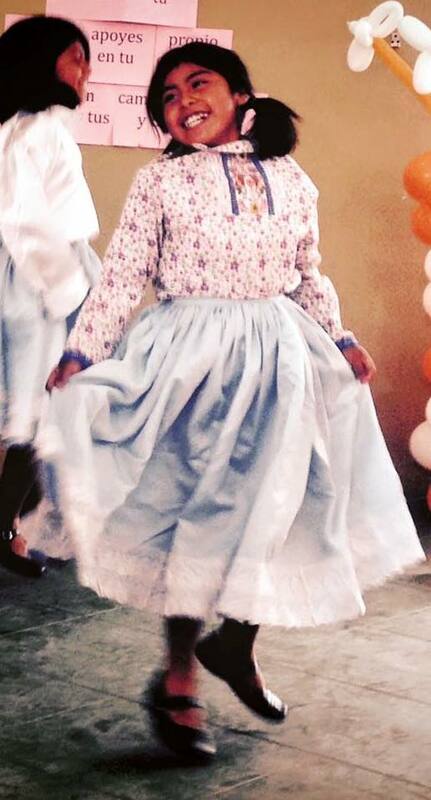 1996: The new home in Pachacutec opened and we are now able to provide a home for 50 children. The new space includes a playground, soccer and volleyball courts, kitchen, chapel, bakery and open space for the children to play. To serve orphaned, abandoned and at-risk children of Peru; to demonstrate the love of Christ in our actions and manner of work; to provide physical, emotional and spiritual care for the children entrusted to us. To see children heal from the trauma they have experienced and be enabled to flourish – establishing a personal, life changing faith in Jesus Christ, developing skills to make positive personal choices, engaging in healthy personal and family relationships, and being actively involved in their local communities and vocational choices. We are a healing home. We go beyond rescuing children from traumatic circumstances by providing emotional, physical and spiritual care to facilitate healing and support positive personal choices. We serve long-term needs, invest deeply in each child, and support seeds of faith to come to fruition. In these ways, the children at New Hope are enabled to flourish. We provide adoptive-style care. We care for children as members of a family: providing low staff-to-child ratios, family-style living arrangements, preventative healthcare, counseling and professional emotional support, and personalized spiritual development. Most children at New Hope are not eligible for adoption, but we believe they should receive the same care that parents would give a child adopted into their family. We see children as individuals. Each child is unique in their needs, interests, and giftings. We provide opportunities for pursuing individual interests, such as music, sports, and art, and advocate for individual needs. We invest in each child and help them to see themselves as uniquely gifted individuals as well. We are a Christian home. We believe it is our responsibility as Christ followers to care for orphaned children. We believe that Christ is the true source of healing for all people, and in addition to providing kids with physical and emotional care, we focus on the personal spiritual development of each child. We are committed to our Peruvian roots. As our name, New Hope Peru, implies, we are committed to the Peruvian culture we serve in. The majority of our staff are Peruvian and we honor and incorporate much of Peruvian culture in the work we do with the kids. For many years our kids have competed in traditional Peruvian dance competitions (and have brought home many trophies!). It is important to us that we help the kids connect with their own nation and culture. We are guests in the country of Peru and though we bring many resources and ideas from our own backgrounds, we are committed to the Peruvian identity of New Hope. Bertin was born and raised in Arequipa, Peru. He joined the New Hope staff team in 2000 as our Administrator and has served in invaluable ways over the years. Bertin oversees the legal and administrative duties of the home, liaising with the judicial and social work systems that govern child welfare in Peru, and also helps with the management of the staff. Prior to coming to work for New Hope, Bertin gained a wealth of experience in various management and administrative roles, primarily working for the Peruvian railroad industry. In 2005, Julie spent the summer volunteering at New Hope after completing her MA in Counseling from Denver Seminary. She married Tony, David and Debbie’s oldest son, in 2006 and together they moved to Arequipa work at New Hope until 2008. With a background in counseling, communication and nonprofit management, Julie began working with New Hope again in 2013 to help with communication and development. She and her family live in Richmond, VA. The majority of our day-to-day operations are carried out by a team of local Peruvians. Our office-based team (administrator, bookkeeper, social workers, psychologists, and education specialists) work together with our tutores (houseparents) and additional support staff to provide our kids with the care and oversight they need to heal and flourish at New Hope. As a registered 501(c)3, a Board of Directors oversees the work being done by New Hope. Each member of the board signs our doctrinal statement and brings their own experience, skills and abilities to help ensure that New Hope is faithfully carrying out its mission.